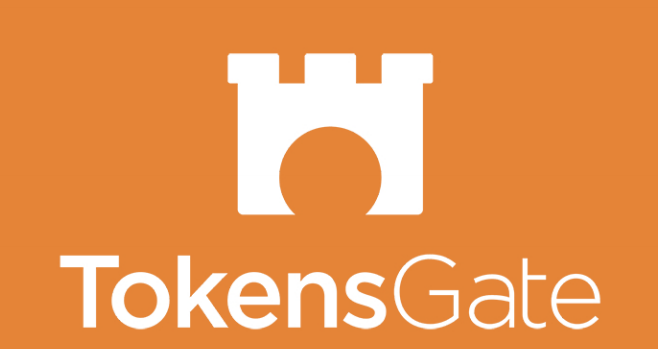 TokensGate is a revolutionary asset management platform that allows people to invest in businesses that offer cryptocurrencies tokens in exchange for ether at the early stage of their operation. We offer our services to people that want to invest in blockchain businesses in a wider range end, who do not have knowledge, expertise, or simply time to do it by themselves. We’re open for all traditional investors, high level managers, private equity, equities, and venture capital that wants capitalists, who want to join the blockchain community in a more organized way, to diversify their investment portfolio, knowing about opportunities and risk of losing in a blockchain world. Tokensgate believes blockchain technology can affect the business building process and early stage capital fund-raising process. Our mission is to disrupt the industry by allowing people to invest in modern companies using blockchain in their strategy with no technical knowledge and experience. Our mission is to popularize blockchain technology in the traditional investment world. Our mission is to help traditional companies to build their strategy based on a Blockchain fundraising model. Our mission is to connect the traditional world with a Blockchain world. Our job and mission are to build an attractive ecosystem for investors that want to allocate resources in the block-chain based businesses. We want to build a company that will guarantee quality and best possible return potential. Our mission is to build a strong valuation of our TGC coin. We want to build an economy behind the token, keeping in mind a sentence: One token to rule them all”. We want to build a value of our token not based only on trading possibilities. This will keep a high valuation and potential of our token! We believe our TGC coin will be one of the first instruments worth holding because of real dividend possibilities in a longer timeframe. This we think will keep a trading valuation much higher than anything on the market. Our vision is to disrupt the whole investment industry, to build new financial products in the Fintech world connected with ICOs mechanism on various types of blockchain. We want to be the only choice for investment people or organizations that think about allocation money in the blockchain industry. Our vision also is to build an ecosystem of managed funds in a range of billions of dollars. The ecosystem that can be influential in the whole industry, an ecosystem that will help us to gain better deals from businesses and make an impact on the whole fundraising process. We want to build a platform with a system that can be applied in different companies with their own network of investors in a white labeling model. We want to achieve this by building blockchain technology for investment companies. In our vision, we see ourselves as a universal blockchain based stock exchange market with a blockchain IPO mechanism with strong community of investors. We want our ecosystem to increase the quality of the investment companies and open a road to investment for traditional companies with an “ICO as a service” product. Our vision is to build a strong Cryptocurrency strongly connected with thousands of currencies on the market and an asset that can be used later in our own blockchain technology!